Edelweiss Bulla Smith, 87, departed this life on Saturday, February 2, 2019. Visitation will be at Friday, February 8, 2019 from 12 noon to 1:00 p.m. at Jernigan Warren Funeral Home with a funeral held following at the Jernigan Warren Chapel at 1:00 p.m. Burial will follow at Lafayette Memorial Park on Ramsey Street. Edelweiss was born and raised in Sampson County to the late James and Lenora Livingston. As the second of five siblings, she would always share stories of how they worked hard and cherished the importance of family, values she passed on to her children. She attended East Carolina but left to come home to look after younger siblings after the death of her Mother. She worked for many years as a legal secretary for Butler & Butler as well Clark & Associates. She also was an administrative assistant for Cumberland County Schools at College Lakes Elementary and Pine Forest Junior High School. She met and later married first love of her life, the Late George H. Bulla, Sr. They were married for almost 23 years. After his passing, she was fortunate to meet the second love of her life, Owen M. Smith. She was a devoted wife, mother, sister and friend. An active member of First Presbyterian and Highland Presbyterian, her faith was at the core of her essence. She was active in Sunday school, bible study and circle groups for the church. She never met a stranger and enjoyed interacting with people. With her family, she was the life of the party. She would give words of wisdom in her own unique way. She always laughed, danced and made sure to let everyone know that she loved them. Always remember "go forward in life not backwards”. In addition to her husband, George and parents, Edelweiss was preceded in death by her sister-Alease Peterson, brother-James Livingston. 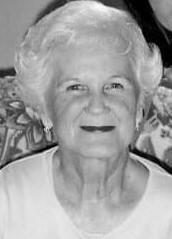 She has left to carry on her spirit in her daughter, Susan Bulla Whitaker; her son, George H. Bulla, Jr (Chip) and his wife, Randee Nolan Bulla; a brother, Larry John Livingston and wife Sheila; a sister, Constance Livingston Jackson and husband Larry; various nieces and nephews and a host of family/friends that loved her very much. Flowers are appreciated, for donations, memorials may be made to Lower Cape Fear Hospice; 1414 Physicians Drive; Wilmington, NC 28401.